Since implementation in 2008, Francis said more than 1,500 individuals have been screened through the Heart Cart. And of those screened, 50 percent of individuals had abnormal findings. Francis urged all men and women 21 and older to get screened and learn the risk factors. "The Heart Cart is available to anyone. You don't need a doctor's order to get screened," she said. "The earlier the risks are found, the earlier somebody could take action and prevent a cardiac event from occurring." 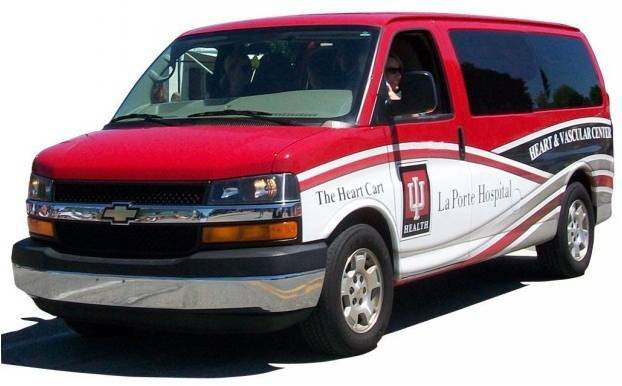 Jamie Howell, who helps schedule Heart Cart screenings, said the process is empowering. But the article fails to note there are downsides to screening, too, like additional non-invasive and invasive testing that might be required once "positive" screening test are identified. Clearly, doing screenings on "all men and women 21 and older," especially those who are asymptomatic and have no family history of heart disease, probably isn't wise for most. But then again, it's your money... just be sure you know what will happen (and what it will cost) if a test is reported as positive. After all, it seems there's a good chance this van's testing will be, even if you're perfectly healthy. The Physician Payments Sunshine Act requires companies to begin recording any physician payments that are worth more than $10 in 2012 and to report them on March 31, 2013. That includes stock options, research grants, knickknacks, consulting fees and travel to medical conferences at chi-chi hotels. The details will be posted in a searchable database starting Sept. 30, 2013. Yes, dear doctor, please disclose anything worth over $10 you receive from drug or device companies. But how much can a medical device industry employee be incented per year by his own company? How does $2.5 million dollars per year (page 31) grab you? You know, the great thing about being a doctor is that you learn something new every day. Medical information overload risks harming our patients. ... and 17-page progress notes containing volumes of rehashed information of no clinical value that must be scrolled through, tweets that are re-tweeted, blog posts that are shared from blogs to mainstream media and back again -- all because we can. We are seeing an exponential growth, not of new, original information, but of rehashed, re-processed, re-published information. We promote this. We see this in our electronic progress notes that MUST contain the same old "same-old" time and time again because, quite frankly, we won't get paid if it's not there. It's as if we say, "the more the merrier!" But the more there is, the greater the potential for doctors to miss the new stuff: those critical (and sometimes subtle) game-changers. Finding what's new in the pile of old is becoming one of today's doctors' biggest clinical problems. Increasingly I find I consume chart notes like a bad sandwich, read the first paragraph and the last while ignoring everything in between: there's just too much worthless "filling" in between. The problem goes well beyond mere EMR note bloat: from twitter feeds, to republished blog posts. Sure we want to get the word out, but the republishing and re-tweeting beast is eating us alive. Why do I need to see a link to a post from three months ago again? Original thought takes time and careful consideration. Yet we insist that plagiarism has value in our medical records and electronic communications. We need an urgent push to simplify information flow to doctors, otherwise we'll compromise their ability to separate signal from noise. Maybe color code it, hyperlink the redundancies - whatever - but please, dear legislators and information technology professionals, appreciate the beast that is eating us alive. 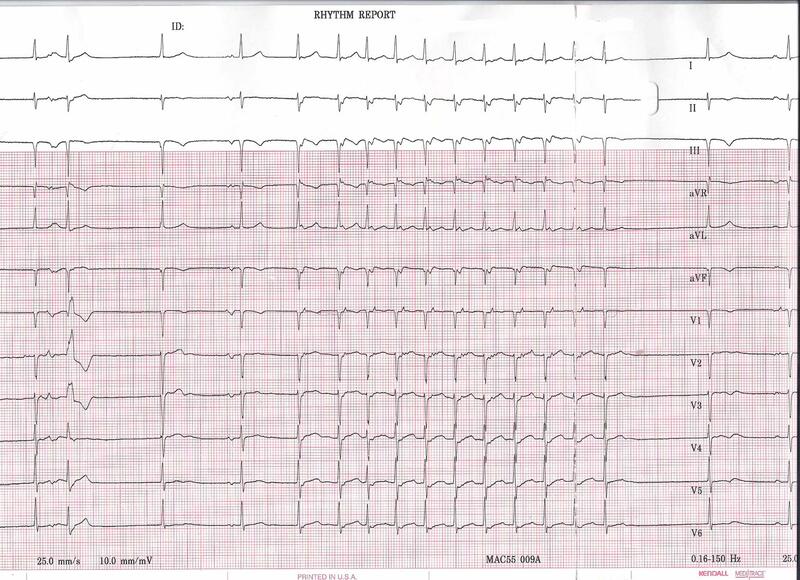 He was a 65 year-old previously healthy avid exercise enthusiast on no medications who was referred for evaluation of two near-syncopal episodes. The first episode occurred approximately 10 minutes after he stopped exercising on a treadmill. 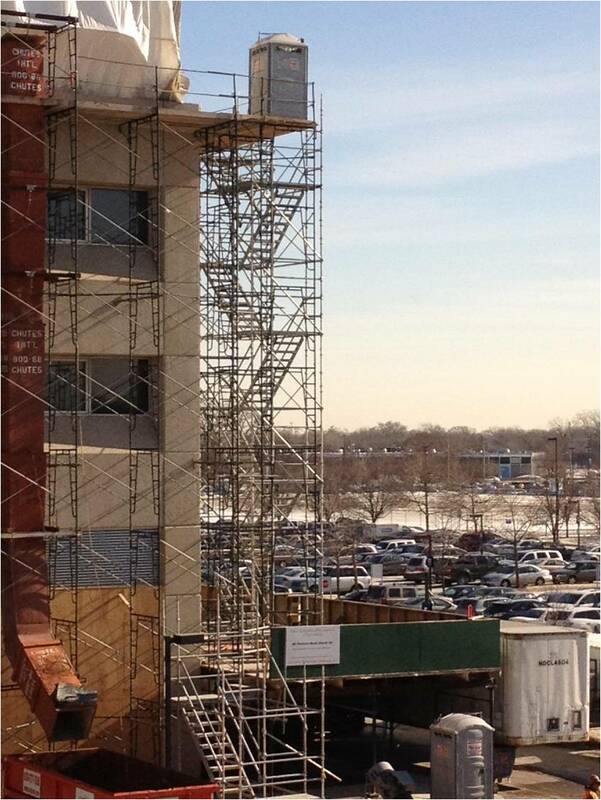 He felt he had to grab the wall to prevent himself from falling. The second occurred after riding his bike home from the gym. Just after riding his bike home, he became very lightheaded and felt he had to sit on his front porch and nearly lost consciousness. His symptoms passed after resting for about 20 minutes. Any ideas? What therapy (therapies?) would you recommend? Strips used with patient permission. It was supposed to be a closed meeting attended by doctors who had a large amount of experience dealing with patients with St. Jude Riata leads, a defibrillator lead that recently garnered an FDA Class I advisory (recall) status due to it's high failure rate. Only 55 doctors and a few industry personnel were brought together to try to determine what to recommend to the rest of us who must deal with this problem in the outside (real) world. It was 20 January 2012. I was doing an EP case at the time. When I emerged from the room to begin typing my orders, a tech said to me: "Hey, did you see this?" At Riata ICD Lead Summit in Minneapolis. 35% of #StJude #Riata Summit attendees think this is a worse problem than MDT Fidelis. 41% of #StJude #Riata Summit attendees are concerned about Durata and are not implanting it. #StJude #Riata US Multicenter Retrospective Trial Riata/ST. Overall failure rate intermediate between Quattro and Fidelis. #StJude #Riata bench testing model shows good performance of externalized conductors with or without ETFE insulation breach. #StJude #Riata Panel discussants repeatedly emphasize lack of data on natural history of lead. Difficult to reach expert consensus. #StJude #Riata Lunchtime conversation: Concern that we're on the leading edge of failures with these leads. Problem apt to get worse. #StJude #RIata Ellis-Vanderbilt series of Riata: 26% of leads had externalitzation flouro abnormalities. #StJude @Riata 5 of 10 members of one expert panel use flouro screening routinely (in spite of HRS recommendation against this). #StJude #Riata Epstein lecture on extraction points out the unique difficulties associated with this lead. Harder than Fidelis. @DeltaAssist I'm booked on flight 3104 MSP to CVG tonight and Delta APP indicates delay with no alternative. Help? #StJude #Riata Summit poll at completion: Concern went up - now 58% say Riata problem is worse than Fidelis (up from 35%). But what was remarkable to me about this whole affair is that a doctor took it upon himself to help report this important information to his colleagues. By doing so, he likely helped many more patients about to receive a new defibrillator system. After all, it is the doctors in concert with their patient, who ultimately must choose which ICD lead gets implanted when a defibrillator is installed. My hat's off to Dr. Schoss. Thanks to MedCity News for their recognition today. Good folks, all. With the preponderance of optimistic takes on physicians participating (some even suggesting we have an obligation to participate) in various forms of social media through blogging, Twitter-ing, and Facebook-ing, perhaps one of us should take a moment to acknowledge that there are some downsides to this practice for doctors and nurses. Increasingly, I have been thinking a lot about this topic and how to explain it without sounding like "Debbie Downer." As my perspective has matured in the blog-o-sphere, I have had several insights that have tempered by unabashed enthusiasm for social media. Perhaps it would be helpful to share those to keep the discussion real for doctors considering a dive into this space. Even if you try to delete a single published post or an entire blog, it's tough to delete all the references to the work that have been reprinted, reformatted or placed in an archived cache online. Further, the anatomy of a single tweet exposes us to the reality of the internet: much more is contained in any post or tweet besides its content - like time, computer type, location. Just as important: you are writing in pen (make that a an indelible marker! ), not pencil, when your publish a thought on a social media platform. While this might be a good thing for many, the potential to take prose out of context (sarcastic or not) could have significant legal ramifications for those involved in the care of patients. In my six+ years of writing, I often think about this and wonder if the benefits I have garnered by sharing my insights could be rendered mute by a single legal reference to this blog. Way back in October, 2007, Allen Roberts, MD (an ER doctor of Gruntdoc fame) sent me an application that he had received for obtaining "board certification" in Cardiology from an unknown entity calling itself the "American Academy of Cardiology." All he had to do was complete the form, send in $300, and send the money to receive a "board certificate" in cardiology. Allen asked me in his e-mail: "Want to do anything with this?" Well of course I did! I was the citizen journalist who could end this practice, right? I researched the organization, the name of the individual, googled the website and its possible sponsor, and quickly realized this was a money-making scam. So I wrote a post - a very satirical post - but still couldn't conclusively identify the individual responsible for the scam. Remarkably, the first anonymous commenter on my blog post identified this individual by name. Other comments followed with links to other not-so-great untoward activities by this individual. In the interest of full disclosure, I permitted those comments to be published. I felt I did my job and laid the topic to rest. In June, 2008, while seeing patients in clinic, my front desk clerk handed me a large envelope containing a subpoena and cover letter insisting I appear the following day for questioning at a local lawyer's office. Further, the cover letter insisted I remove the blog post I published on this board certification matter as well as the picture of the fraternity paddle I had emblazoned with the words "American Board of Cardiology." Without going into all of the details, as you can see, the post and picture still stands. But not before my lawyer made three trips to court and I accrued almost $14,000 in legal fees. I suppose for patients and gullible doctors who might be scammed into purchasing these fake board certifications, I did. But when I consider the costs of the legal haggling coupled with the months of worry for myself and my family, I'm really not so sure. I still wonder why I continued blogging. Perhaps it was to show my "strength." Perhaps because I didn't like to "lose" the right to stand up for what I believed. Whatever it was, I quickly grew up as a physician blogger. I pause every time I'm about to post. From that lesson it became abundantly clear to me: blogging, no matter how careful I tried to be, was clearly not a legally risk-free endeavor. I also grew to appreciate the power of social media for my patients and colleagues. On occassion when discussing sensitive subjects, the truth can hurt those exposed. But people who decide to attack bloggers who tell the truth risk being even more exposed themselves (this phenomenon has been dubbed "The Streisand Effect.") That's because most bloggers to their homework and are careful to obtain background documents or refer clinical references to support their commentary. Most of all, good bloggers consider their words carefully and know when NOT to publish as well. So if you're going to do this social media thing seriously, realize it does have risks that you might not suspect associated with it. In this regard, it is good to review information offered by the Electronic Frontier Foundation. They have many helpful legal resources for bloggers there, new or old. Increasingly, doctors find that they no longer serve just their patients, but because more and more of them are becoming employees, they must serve their employers, too. Because of this new role, there exists a potential for conflicts for doctors between the needs of their patient and the needs of their employer. Although rare, an unhappy doctor could upset the careful balance between care delivery and business policies. Therefore, administrators are careful to protect their corporate policies and procedures. The make sure to place the onus of responsibility for participating in social media squarely on the participant's shoulders. Health care institutions commonly place doctors under restrictive social media policies that ban them from talking about business practices, contracts in place with vendors, and the like. Can doctors still participate in social media in that setting? Of course! But commentary will be necessarily geared toward the sanitized and polite (some call this "professionalism"). And while I still meet doctors hungry for honest discussions about thorny issues that affect them directly, I have to be very careful what I include on this blog. Each of us must respect the fact that being too forthright could cost us our jobs. In some ways for patients, this is too bad, since honest discussions are potentially "filtered." While doctors are partially muzzled online by these policies, patients are becoming increasingly vocal. As such, it will be the patients, perhaps in subliminal collaboration with their doctors, that will drive our health care system to improve. Social media is becoming a very effective way for patients to voice their concerns to others, and health care systems of tomorrow are launching their own social media campaigns to counter the potential for those patient concerns to be amplified many times over by others. And for this reason, maybe some of these downsides of social media for doctors will be outweighed by social media's benefits to our patients. Better yet: social media-savvy doctors might become the best voice of reason to address new patient concerns that arise. But we should acknowledge the seductive nature of social media. It is rewarding to post something on line that people can positively acknowledge. There is also an element of mystery and intrigue: who's reading and commenting? Where do they come from? Do they like what I have to say or are they critical? Sadly, bloggers can find out fairly easily. They just set up a little Sitemeter account and they gain the ability to see where and when readers come from. So the statistics are checked again and again - link backs explored - and time is frittered away. Bloggers wanting to grow their readership rationalize this "checking" as necessary. After all, it's all about generating "traffic," "stickiness," and "re-visits." Get enough of these and you can make a dollar from Google Adsense each day or promote your blog to advertisers through it's pageviews. Sometimes, these time constraints can catch up to doctor bloggers. You simply can't write about everything that interests you on short order. Even if doctors understand this potential pitfall and limit their participation in social media to time only at home, the time required to participate can still intrude on one's personal or family life. After all, each of us are limited to only twenty-four hours in a day. To counter this, doctors should plan blog-breaks, sabbaticals, or even shutting things down temporarily or permanently. These breaks should not be seen as a sign of weakness (despite what happens to your Klout score or Technorati ranking) on the physician blogger's part, but rather, healthy insight into blogging's toll on life's other important priorities. For the reader of doctor blogs used to seeing instantaneous feedback from other non-medical social media sites, if a doctor doesn't respond to every comment within minutes, publish a post every day or even every week, then at least they'll understand where doctors are coming from. This is not to say that doctors don't get things from participating in social media ourselves - we do. We learn from our patients. We learn from our colleagues. We develop a network where we bounce ideas off each other. We gain useful information quickly that we can apply to real-world problems. Beyond this, writing a blog can be therapy, a sounding board, or an information font. We can use social media in creative ways: for reference organization, to make considerable income, or maybe do it just because we like to write. So after all of this, what do I really think about social media for doctors now? I feel social media's benefits for doctors are probably net neutral: not awesome, not horrible. In our increasingly connected medical world, social media will be an asset for some, a liability for others. Where it settles out will be a personal choice. Social media doesn't make us a better doctor, it just makes us a better public doctor that likes to write and type. It is not more than that. Doctors who have no typing skills can still have exceptional doctoring skills, but they'll probably never participate in social media and that's okay. But there is one thing I know after all of this: whatever our new electronic medical world will become in the years ahead, social media use by our doctors of tomorrow sure isn't likely to go away. Be sure to check out this week's Grand Rounds hosted by Val Jones, MD over at USAToday's Healthy Perspective blog. Because of the number of submissions included (55! ), Grand Rounds will be divided in to four posts - one at 10am (Health Tips), 1pm (True Stories), 5pm (Myth-Busters & Controversies), and 8pm (Healthcare Costs) today. So check back often to healthypov.usatoday.com to digest some of the best of the medical blog-o-sphere this week. A Kirk spokesperson says the 52-year-old senator checked himself into Lake Forest Hospital. He was transferred to Northwestern, where tests showed he'd suffered a stroke. A statement from Kirk's office says the surgery was successful and that doctors are "very confident" in his recovery based on his age and health. My guess: if the surgeons are "very confident" in his recovery, more likely than not the stroke was not hemorrhagic, but embolic. 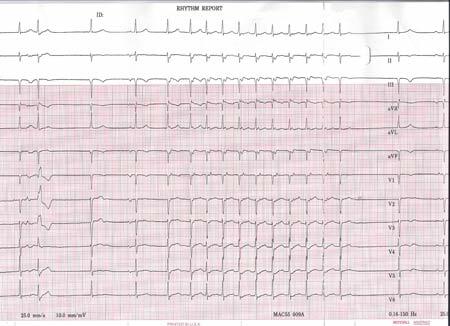 If so, clinically asymptomatic atrial fibrillation is probably the most likely etiology for his stroke. 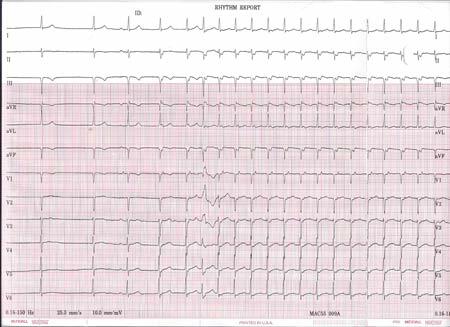 Addendum #2: 12:55 CST: Ischemic etiology reported. Addendum #3: More detail - Spontaneous R carotid dissection? It goes without saying: if procedures have complications, be truthful with the public and with patients. Otherwise, some might publically question your outcomes. If that happens, noone is likely to benefit. Thank's to Dr. John Mandrola, my secret's out. Yes, it's a porta-potty and yes, this is the view outside our clinic lunch-room. Now, you pick the picture's caption. The winner will be chosen by our office staff later this week. What's the prize? Sorry, our new Physician Payment Sunshine Act limits the prize to bragging rights only. Imagine a "smart pill" containing a microchip that tells a computer when you've taken your medication. UK-based retail pharmacy chain Lloydspharmacy has inked an exclusive deal with Proteus Biomedical to launch Proteus’ first commercial product, Helius, an offering that includes sensor-enabled pills, a peel-and-stick sensor patch worn on the body, and a mobile health app. The patch records when a pill is ingested, tracks sleep patterns, and records physical activity levels. Will it affect medication complicance? But the idea of a smart phone reminding folks they've skipped their medication might be pretty useful for some, provided they don't eventually suffer from a second potentially more severe malady: alarm fatigue. Whereas in the past the host would post nearly every link they received, it appears that we are now moving towards more curated content. I said in my previous post that I wasn’t going to institute a theme, but I was definitely more drawn to the personal-story type posts. Talk about the "10-second" rule! “I’m worried if we put up too many barriers in order to make things private, and if that makes the flow of information slow and hard to share, in effect more people will be harmed,” she says. So far the committee has maintained that balance well, she says. So far, there appears to be huge skewing of information provided to health care administrators rather than doctors these days. For instance, when a doctor wants to know how many procedures their group has performed according to data they themselves entered into the Electronic Medical Record, they meet resistance. (This is not a small issue for doctors increasingly held accountable to MGMA benchmark productivity standards for their income.) Trust is a critical issue in medicine and doctors must feel they trust the data being given to them. The Electronic Medical Record systems of tomorrow should foster this kind of data transparency for doctors, not provide statistics from inaccessible data warehouses. Doctors are eager to use their data for their patient's benefit. And yet they see these proprietary systems that carefully-control access to information as impediments to care rather than as facilitators of decision making. To date, this end-user still has yet to see any electronic data flow from one institution's EPIC data pool to another. Perhaps this capability will be realized some day, but for now, we still must request paper records from fellow EPIC institutions manually. While this limitation may be part of the "balance" to which Ms. Faulkner alludes, to doctors on the front line of care provision, this "balance" currently feels quite skewed away from patients and doctors. Doctors are the largest and most influential contributors to the electronic medical record data and the cost of medicine. We see how these systems affect our patients first-hand. Unless change comes quickly to permit doctors to be involved in decisions based on the data they themselves provide the system, restricting their access to aggregated data assessment might become the greatest electronic medical error in the foreseeable future. After all, how else will we ever be able to credibly challenge the potential for a critical programming or statistical error that could ultimately affect 127 million lives? This post represents post number 3000 to this blog. (Not all have been published - some sit as kernels of brilliance to bestow upon my readership at a later date when the time is right or after I rework them a bit). As striking as that may seem to some, I must say that this effort was finally acknowledged by my institution in an indirect fashion: they launched their own blog today. Very cool. It looks nice, but like most blogs just getting started, I suspect it will take them a while to find their "voice." Still, it's nice to see them entering the fray. Social media with it's quick, informative blasts of information is particularly suited to today's more mobilely-connected patients. Gone are the days of cloaked, back-room, one-on-one information exchanges held solely in the privacy of a doctor's office. Instead, the ability of people to receive information quickly and interact with trusted sources of that information adds benefit to the health care experience for both the patient and the their care providers. With their blog's launch today, my hospital system has officially complemented their other Trifecta of social media engagement already underway: (1) Facebook, (2) Twitter, and (3) Youtube. So while it's just a start, here's welcoming NorthShore University Health System's PR department to the blog-o-sphere. Head on over and offer them a bit of link-love. That way, they'll have to keep me around just a little bit longer. What happened? They called me about him. Said he was sick. He stared again at the message. Why didn't they call me? I'd been caring for him for nearly ten years! I knew his story, his family, his wonderful personality. The ER said he looked sick and they were going to admit him.... Then someone called ... Didn't think he needed to be in the ICU... Who was that again? Can't I just get his number to offer her my condolences? Nine medical specialty societies are joining with the American Board of Internal Medicine Foundation and Consumer Reports to curtail waste in health care and improve patient outcomes. As much as 30% of U.S. health care is squandered on unnecessary tests, procedures, hospital stays and other services, according to the Congressional Budget Office. Such services don't benefit patients, and in some cases may harm them. Specialty societies are joining forces to stamp out medical waste in all its forms, even resorting to petitioning their members to come up with ideas to save money. Honestly, this should have been done long ago and should remain an ongoing priority. But I'm going to stick my neck out and mention an area that no one ever discusses. It's an area of waste so vast that it would dwarf all of the recommendations that are likely to come any or all of these surveys. It's an area of waste that plagues every hospital, long-term care facility, rehab facility, or nursing home in our country, yet benefits every device manufacturer and supplier to our health care system. What do I mean by this? I mean the waste generated every day in our health care system by expired medical goods. 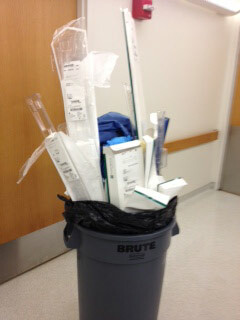 Every day, week and month in our health care system, thousands of pieces of perfectly good medical equipment "expire." That is, their expiration date - similar to the expiration date noted on foods you eat in the grocery store - comes past due. At that instant, they can no longer be used by patients and become worthless items that must be removed from shelves, discarded, or donated. Companies will not take them back or exchange them. Re-use in America is banned. Thanks to the World Health Organization, even donations of expired goods to developing countries are banned because of their core principles regarding guidelines of medical supplies that states "there should be no double standard in quality: if the quality of an item is unacceptable in the donor country, it is also unacceptable as a donation." Such donations are even frowned upon by many veterinary clinics. Never mind if they are non-sterilized plastic jars. If they have an expiration date that is past due, they are discarded. If they are expired shiny, new metal or plastic medical instruments that could easily be re-sterilized (think laparoscopic staplers, attachments and the like), they are discarded. Double-wrapped IV fluids? Sutures? Drape kits? Gloves? These too are discarded. You see, you can never be too safe. 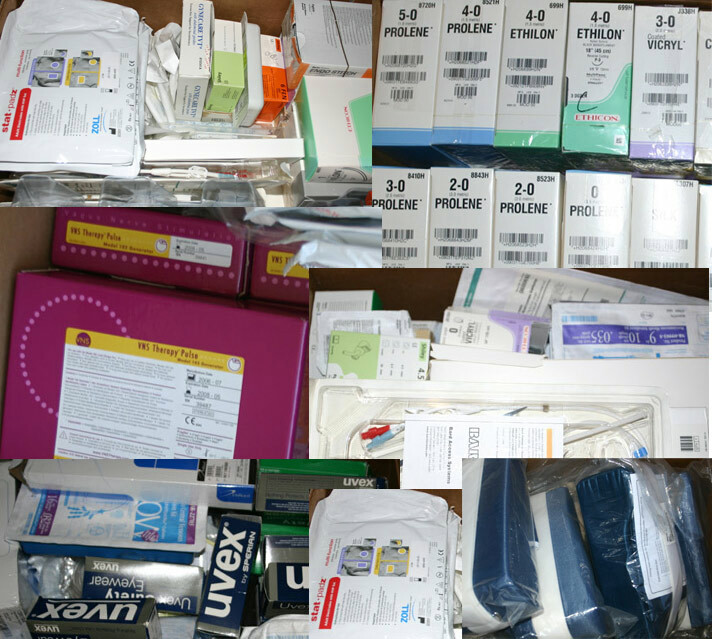 In fact, expired medical equipment fills many landfills (a must-see video) both here and overseas. Certainly there are concerns about sterility and the decomposition of medications and materials that occurs with time. No one wants to accept the liability that expired medical goods could have been the cause of illness or infection. This is certainly appropriate. But how many thousands of pounds of medical goods are discarded each quarter from our nation's hospitals that could be re-purposed, re-sterilized, re-packaged to give us HUGE cost savings to our health care system? Could expiration dates be extended safely without compromising quality? Because there's no incentive to do so and it's not in the economic interest of the suppliers to find out. But given the millions (and probably billions) of dollars wasted on expired medical equipment each year, isn't it about time we do? Even if we can only extend the purposeful shelf life of supplies from five years to six, we likely could save hundreds of millions of dollars (or more) for our health care system. And who knows, maybe we'll do something good for our planet along the way. Unfortunately, the rank and file is very unhappy. There is remarkable discontent, and considerable anger, among the lesser physicians. That is, the test takers, the physicians in practice subject to the new rules, the ones who have to add one more rule, one more activity, one more form, one more check to their already busy lives. That discontent, that anger, that frustration on the part of practicing physicians is, in my opinion, very rational. It’s a tough time in medicine. Our regulatory burden grows by leaps and bounds every year. We are watched and harassed, by CMS, by JCAHO, by our state medical boards, by our insurers, by our hospital staff offices and now, most painfully, by our own specialties. Of course, all of it comes in the context of falling reimbursements, a federal government licking its lips for any spurious allegation of fraud and a system in which EMTALA forces physicians of all specialties to see patients for free, even as government insurance programs pay less than the over-head to see their patients (and fulfill the regulatory guidelines required for the privilege of doing so). Here’s the reality. Our certifying bodies should be our greatest, most passionate advocates. When the Institute of Medicine issued a report some years ago that said physicians were killing people on a scale consistent with the holocaust, ABEM should have looked at the data and refuted it. ABEM, and ABIM and all the others should have taken our fees, run out and found the best PR firm they could afford. “We stand by our physicians and we have serious questions with these research results and the way they are being interpreted.” That would have been a good use of my dues. That would have merited high salaries for everyone in every board that stepped up for its members. Go now. Read the whole thing. 4) Board Certification - Pay to Play? 2012 will mark Better Health’s 4th year anniversary of group medical blogging. I began Better Health with the hope of organizing “voices of reason” in the health blogosphere so that our ideas would enjoy greater circulation and be more influential. We were the early adopters of social media – some of the first physicians, nurses, patient advocates, and scientists to join together to provide trustworthy content to our readers via blogs. We grew to represent over 130 bloggers and, over the years, were joined by such prestigious organizations as the American College of Physicians, Harvard Health Publications, Diario Médico, and the Centers For Disease Control And Prevention. I am proud of our excellent writing, and I know that we touched many lives through our blogging. Many of our contributors have enjoyed such success in blogging that they are regular features of several publishing platforms. Others have gone on to careers in social media education and are now sought-after speakers across the U.S. and beyond. Today’s blog audiences often receive their health information via personalized “filters” on Facebook and Twitter, rather than specific websites. And so for these reasons, Better Health has achieved its purpose to promote medical bloggers. I will discontinue future publication of blog posts at the getbetterhealth.com website as of today. Better Health, LLC will continue on as my personal consulting company. Here's wishing Val Jones, MD, the guiding light behind Better Health, all the best in her future endeavors. 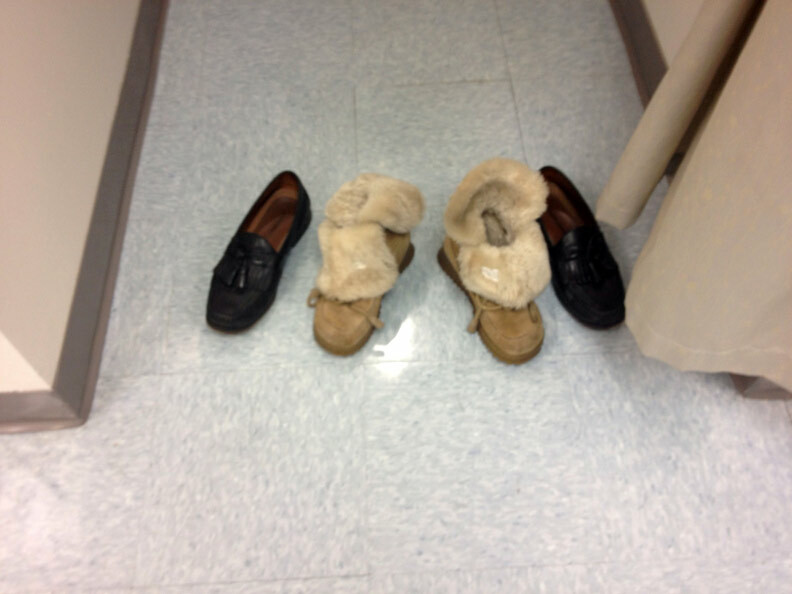 ... having some Friday fun in the coed cath lab locker room. 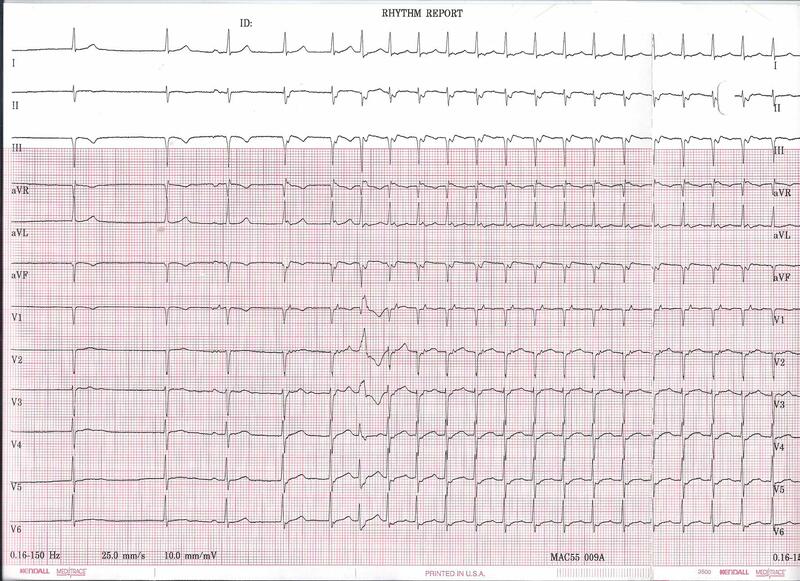 It happened again today: an elderly lady with critical aortic stenosis with all it's cool findings: late peaking harsh, palpable murmur, Gallavardin phenomenon, LV heave - the works! And what did the electronic medical record from the intern picking up the patient say? "CV - Irreg rate and rhythm, no murmurs, clicks or rubs." No doubt this was a documentation macro that was not edited or else the intern failed to examine the patient (or maybe both). No excuse! It's time to end the crap being spewed forth into electronic medical records! I say that every time such a note is discovered like this by our new medical trainess, they fail their rotation. Yep: make the penalty severe and make it stick! That way, they'll think HARD about what they contribute to the medical record and be held accountable! No one has a clue what to do to attendings who do the same thing. After all, when it comes to getting paid for your work, it's not about what doctors write in a chart, it's about how many things doctors write about so they can bill the government for their professional services. The call never should have been made. It broke every proscribed rule. After all, I was not on call. Thanks to the wonders of computer technology, it was very clear that I was being covered by my colleague. And yet, despite this, it came. I wish I got the name of the operator that evening. I have no idea what intuition, what verbal cue she received that prompted her to break all the rules. She was, after all, just a hospital operator who should have followed the playbook but decided to take a huge personal risk to rely on her judgment instead. There was no playbook, no algorithm involved – in fact, it was just the opposite. But one thing’s for certain: this operator should to know that the patient, his family, and I will be forever grateful.